The 3rd Annual SLO Jazz Festival was a BLAST! 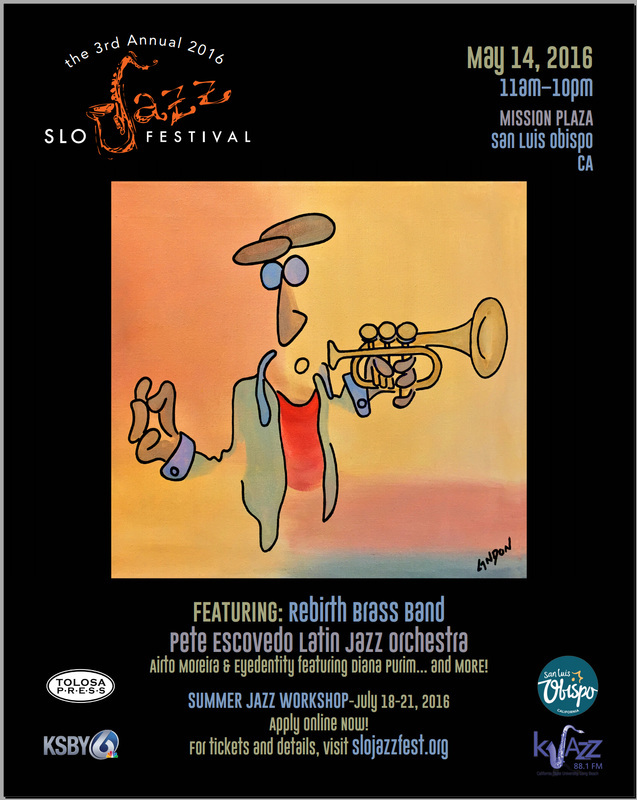 ​Thanks to all who attended, supported, served at, and sponsored the ​3rd Annual SLO Jazz Festival! The 3rd Annual SLO Jazz Festival happened May 14, 2016, in Mission Plaza, San Luis Obispo, CA from 11am to 10pm. With the Grammy-nomimated Pete Escovedo Latin Jazz Orchestra, Grammy-winning Airto Moreira & Eyedentity Featuring Diana Purim; including John Worley’s Mo Chi Sextet (performing Miles Davis’ Kind of Blue), and three additional stages of live jazz music, including two youth stages this year. We raised the bar. Join our membership program and help us bring 2017 SLO Jazz Festival back! Make sure you click here to join our email list and keep in the know re: tickets, events, and news.